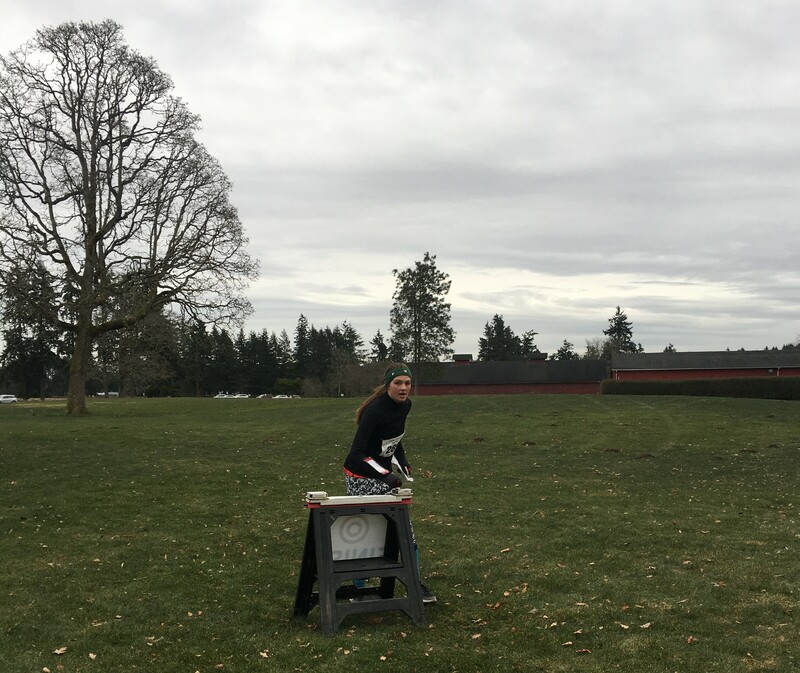 You will experience a wide variety of orienteering at Fort Steilacoom, with flat grassy areas, thick forest with a dense trail network, and urban campus all present. You will need to be able to adapt to all these styles! As usual, in the campus area do not cross through any of the plantings. Some courses will cross the entrance road to the parking. Traffic is light but please look carefully before crossing. The Ft. Steilacoom Park map’s January 2019 update captures both changes within the park and some minor orienteering symbology changes. Ft. Steilacoom Park and the Pierce College campus are both heavily used by local residents and actively maintained by staff and volunteers. The Ft. Steilacoom Park map’s January 2019 update captures both changes within the park and some minor orienteering symbology changes. Ft. Steilacoom Park and the Pierce College campus are both heavily used by local residents and actively maintained by staff and volunteers. This year, like every year, there are new trails, old trails overrun by blackberries, new thickets of scots broom, and bramble patches returned to meadows by hard gardening work. The map updates tried to capture the current state of the trails, woods, and fields. Note that more areas of the park are mowed short than in the past. These areas are now mapped as open land (yellow) rather than rough open land (light yellow). Many of the trails, very obvious in the long grass of rough open land, are much more difficult to see or follow in short grass. 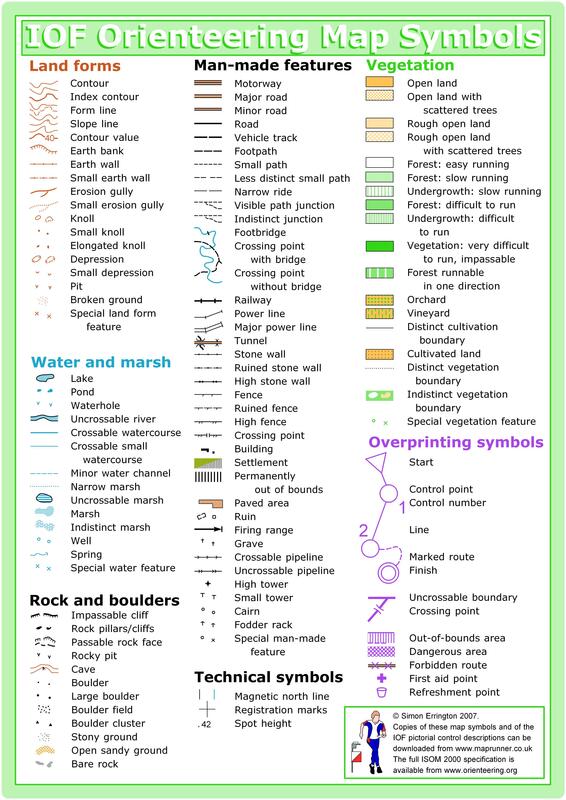 The updated map’s symbols are in line with the latest orienteering mapping standards (International Specification for Orienteering Maps, 2017). The legend printed on the map is updated and accurate. While most competitors won’t notice these changes, some of the point features changed for the benefit of color-blind orienteers (think brown-X (rootstock) or blue-O (fountain or well)). Since there is no longer a brown-X symbol, the green-X represents any prominent vegetation feature (large rootstocks or significant stumps). The large buildings on the Pierce College campus are now mapped in dark grey with a black border (like on sprint orienteering maps) rather than as solid black rectangles. As before, the large dog park and the care-taker’s cottage and maintenance shed in the middle of the map are marked with the over-print “Out-of-bounds” symbol (purple cross-hatch). There is also some new landscaping southeast of the campus that is off limits for this meet. For advanced course runners: In the SE corner of the map (wooded hillside), there is still a tangled area of deadfall from a long-ago ice storm. This area is mapped as dark green, with the numerous trails in the area mapped. In this dark green patch, there are trails that end at either side of a series of large, fallen trees. It is possible to pick your way slowly through this deadfall. Since the rootstocks and deadfall are too closely spaced to individually map, this area is shown as a patch of undergrowth/walk (thinly spaced green stripes or “slash”). You can run down the trail through the green, pick your way through this patch of deadfall (certainly not at a run), and then pick up the trail on the other side at a run. So, it’s passable, but not quickly. Showing no trails in the area would be incorrect, and showing trails going all the way through would also be incorrect, so until a trail crew with a chainsaw solves the underlying problem, this is the mapping compromise that attempts to do justice to the area. Students with a season pass, use the button above to RSVP for this meet by Tuesday January 8 at Noon. Online pre-registration closes Thursday January 10 at 9pm. Day-of-event registration is by cash or check only. Parking is free and plentiful. Follow the signs to the large parking lot near start. As a training exercise or a short physical and mental warm up, two short Micro O’ will be set up near Registration. This will be a self-service activity and you will need to print your own maps [2019-01-12-Ft-Steilacoom-Micro] and description sheets [Micro-O-descriptions]. There is also a brief write up on how to use Micro O’ to practice “flow” [Micro-O-How-To 20180214]. The courses were not field checked so there might be minor discrepancies. Be very careful around moving people and vehicles! If you have questions (or suggestions), please see Mike Schuh – he’ll be working the first shift of Beginner Instruction somewhere near Registration. ***Please do not go through the children’s play area. *** It is marked on the maps as prohibited.